Companies disproportionately target black and latino kids in unhealthy food ads. Extreme weight gain in children is a dangerous mental and physical health epidemic in the United States, and public health officials have implored children and their parents to lay off the sugar-sweetened beverages, fast food and unhealthy snacks. 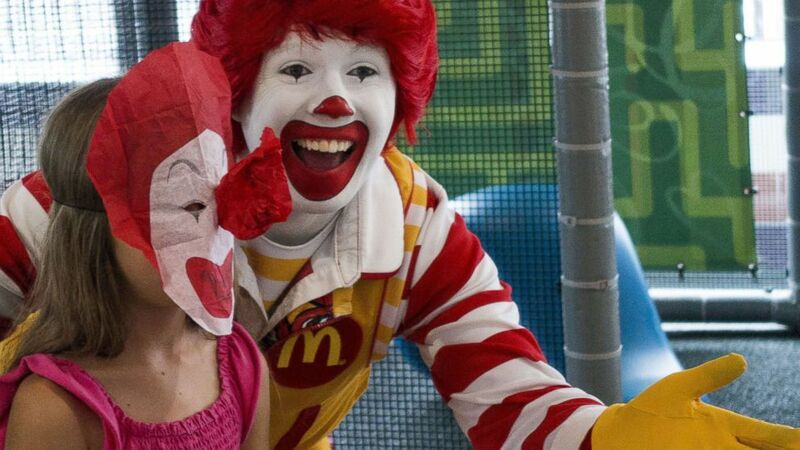 (AFP/Getty Images, FILE) A person dressed as Ronald McDonald entertains a young girl during his appearance at a McDonalds's Aug. 10, 2015, in Centreville, Va.
“The evidence is really strong that food marketing affects children’s food preferences, diets, and health,” Dr. Margo Wootan, vice president of nutrition at the Center for Science in the Public Interest, told ABC News. 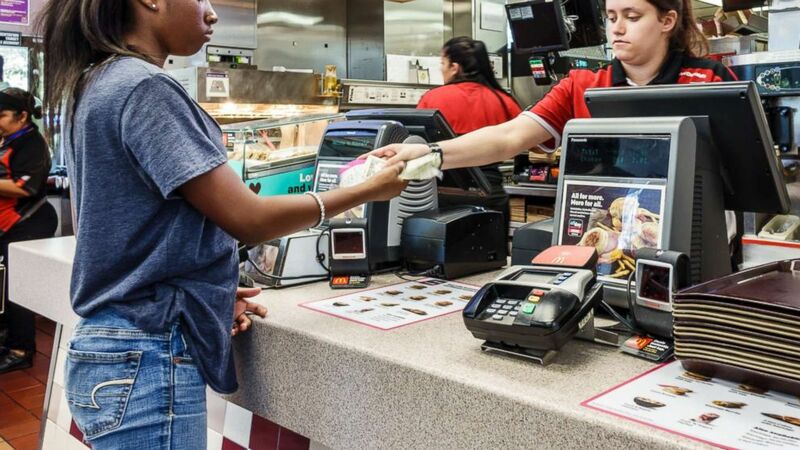 (UIG via Getty Images, FILE) A McDonalds cashier gives change to a young customer in Vero Beach, Fla., Oct. 23, 2016. 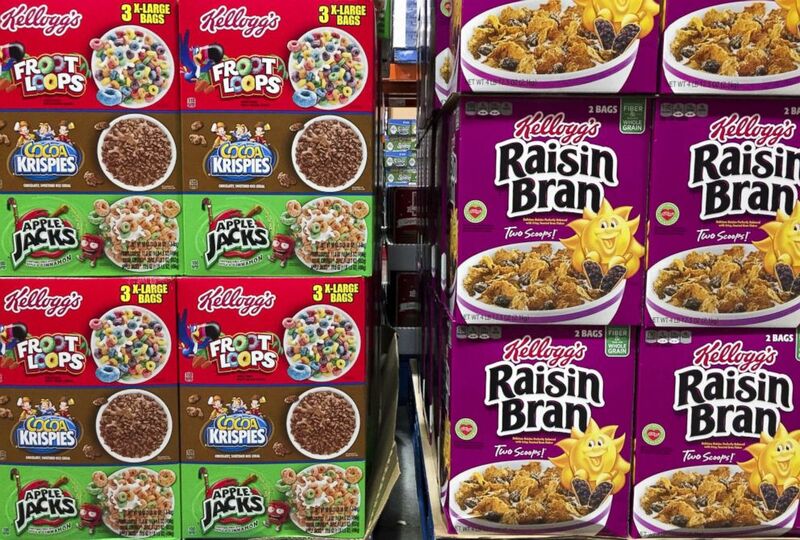 (AFP/Getty Images, FILE) Boxes of Kellogg's cereals including Froot Loops, Cocoa Krispies and Raisin Bran are seen at a store in Arlington, Va., Dec. 1, 2016.